Never a day goes by without another iPhone rumor, no matter how new the current-generation models are. 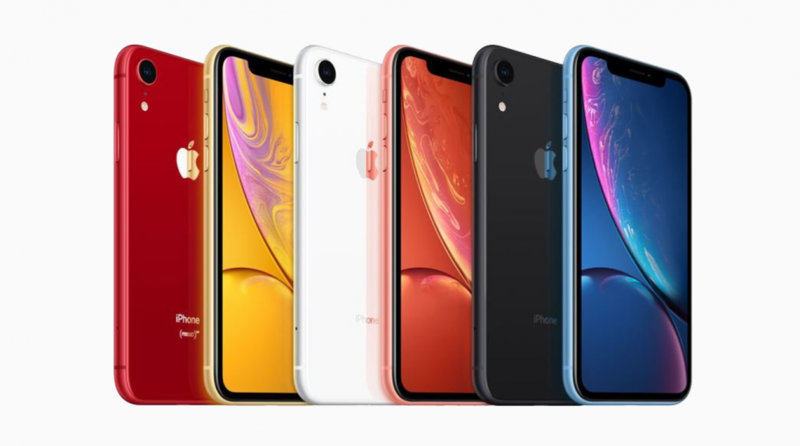 This latest one comes courtesy reputable analyst Ming-Chi Kuo, who said the iPhone 11 casing may end up having a short of “frosted glass” appearance. If that sounds familiar, it’s because Google’s Pixel 3 phones already have that look. Smartphone makers just can’t seem to help copying each other’s devices. According to 9to5Mac, Kuo said Apple is planning what he describes as a “frosted glass casing” for the iPhone 11, which is expected to be released in the fall. The company has never used a frosted design for any of its other iPhone models, so this would be quite a noticeable change if the rumor is true. Google’s Pixel 3 already sports a frosted look on its casing, but it sounds like the iPhone 11 casing won’t be an exact copy of that design. 9to5Mac describes the Pixel 3‘s casing as mixing a glossy finish with a matte glass feel. The design apparently makes the phone a bit easier to grip because the phone’s exterior isn’t smooth and slippery. Kuo apparently didn’t go into detail about what exactly he meant by a “frosted glass” iPhone 11 casing. Given how Apple and Android device makers often steal features from each other, there could be some similarities between the iPhone 11’s and Pixel 3’s exteriors. However, we will just have to wait until pictures of the iPhone 11 casing start to leak — as they inevitably do with every model eventually. Other design features of the iPhone 11 are expected to be the same as what we’re seeing on the 2018 models. Apple is expected to keep the same three screen sizes at 5.8 inches, 6.1 inches and 6.5 inches. Kuo also said this year’s new models will keep Apple’s Lightning connectors instead of switching to USB-C. Other rumored features include ultra-wide band connectivity, wireless charging, a triple-lens camera setup and more. Other than the frosted glass design on the iPhone 11 casing, it doesn’t sound like this year’s new models will be very different than last year’s. This could end up being a problem for Apple, given how disappointing iPhone sales are becoming year after year. However, we’re starting to reach the point where differentiation is a major challenge. Apple fans often hold a higher appreciation than users of other devices for appearances, so perhaps the company is trying to supercharge iPhone sales by simply changing the exterior appearance.